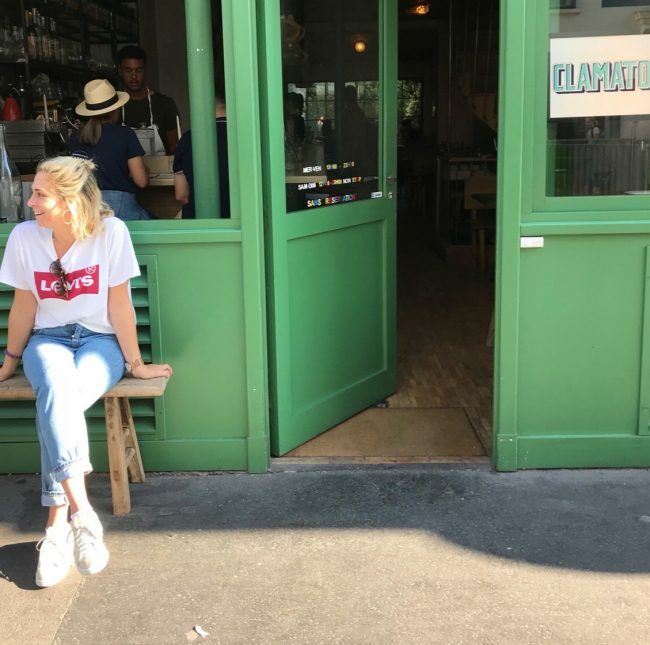 I’ve been to Paris more times than I can count but it was only on a recent visit that I finally managed to visit Clamato – the walk-ins only seafood restaurant run by the folks behind Septime: Bertrand Grébaut and Théo Pourriat. 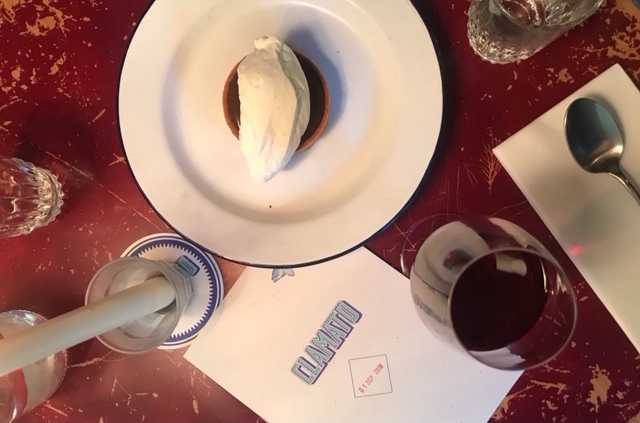 Known and loved by Parisians for its considered sea-centric sharing menu, Clamato is cosy, understated and elegant – not to mention the food is totally banging. Think fresh clams from Brest, rock crab from Roscoff, roasted courgette with trout roe, blue lobster from Northwestern France and gooseneck barnacles with garlic and chilli. It’s the sort of menu that if the stomach permitted, you could easily order one of everything. 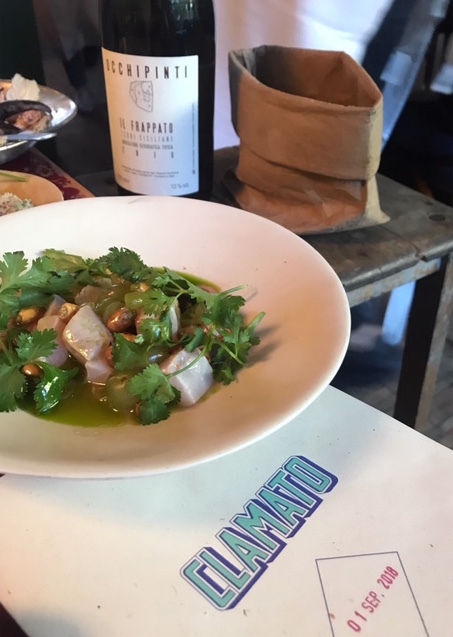 On our visit, standout dishes included red tuna rillette, marinated sardines from Gascvogne, octopus fattoush with buttermilk and sumac, mullet ceviche with white grape and chulpe and a gorgeous tomato salad with potato and anchovy crumble. All of Clamato’s produce comes from sustainable sources, using traditional farming techniques – meaning the menu changes daily and is determined by what’s in season. The wine list is just as impressive, with a dizzying selection of French, Italian and Swiss bottles on offer. After much deliberation, we settled on a 2016 Arianna Occhipinti vin rouge – I personally love pairing red wine with fish. This light natural wine was extremely drinkable and perfectly complimented the meal.